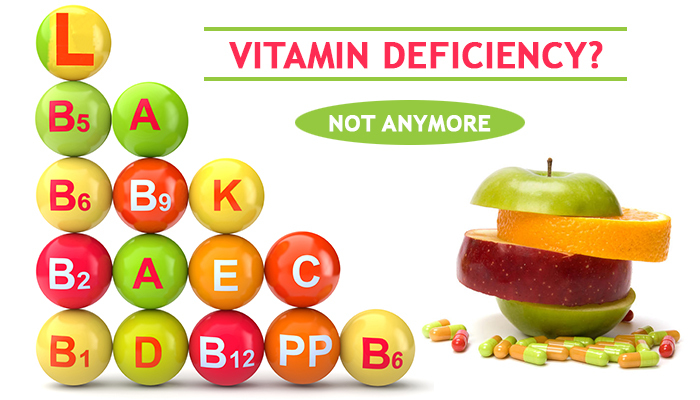 Vitamin deficiency is one of the most common problems in people all across the world. It is one of the most ignored aspects of health that needs to be well addressed and diagnosed in order to keep oneself away from various health issues like receding hairlines, fatigue, anxiety, dullness, frequent cough and cold or muscle cramps and pain. If you are facing any of the above problems and still neglecting, you are welcoming yourself a big havoc shortly. In severe cases of vitamin deficiency, visible receding hairlines, heavy hair fall and brittle hair are some of the common symptoms. Lack of biotin, also known as vitamin B7, results in brittle hair and chipping of nails. Biotin helps the body convert food into energy, and a possible deficiency of the same may lead to various health problems. Unusual weather changes leading to frequent cough and cold is a result of decreased body immunity due to vitamin a deficiency in the body. Add some multivitamin tablets to help you fight off infections and increase your body immunity and endurance. If you are taking forever to heal, vitamin deficiency can be one of the most prominent factors that need to be well diagnosed and checked. If you have a broken bone and the healing is taking too long, a multivitamin capsule will be the right rescue treatment for you. Dullness, fatigue and restlessness are some of the common symptoms that come with vitamin deficiency in the body. Biotin deficiency in the body leads to fatigue, muscle pain & cramps. Biotin deficiency can be reduced with the intake of egg yolks, meat, fish, nuts, seeds, sweet potatoes or whole grains. Workout sessions can be extremely strenuous leading to muscle soreness, hamstrings and unusual cramps in the body. A single tablet of multivitamin can help you in easy recovery of muscles post workout. How to deal with vitamin deficiency? Take a rich diet with lots of green vegetables, fruits and drink a lot of water every day. Stay away from wrapped food items. Outside food items do not have any essential nutrients and vitamins. Go out for exercises. Hit the gym and drink lots of water. If your regular diet cannot suffice the nutrients required by the body, it is time to bring a pack of a multivitamin capsule to your diet. Multivitamin capsules provide essential vitamins that help in increasing the immunity of the body during unusual weather changes. Taking a diet low in vitamin and mineral may lead to various health issues and diseases. However, increasing the intake of green vegetables, egg yolks and whole grain products with regular exercise and workout will help in reducing the visible symptoms of vitamin deficiency in the body. If you like the article, do share your valuable comments below.